How do I eliminate smelly closets and nasty cupboard odor? 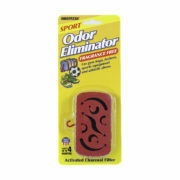 Our popular odor absorbers are an effective way to eliminate smelly closets and cupboard odor. 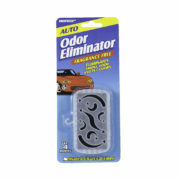 Our advanced activated carbon has millions of micro pockets that absorb and neutralize odors and is long lasting. 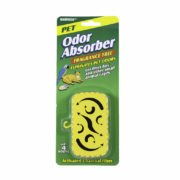 You will think you stumbled on a miracle and your whole household will smell better. Even if you have a window in your closet to let the fresh air in, it can still begin to smell rank. Why? Think about it. Do you have items that you have dry cleaned? Have you ever gotten a whiff of the cleaning solvents left behind? Now you have sweaters, jeans and other items that you do not wash every time you wear them. Sorry, but the cleanest of people do leave behind some body oil and dead skin cells, which result in smelly closets. Do you also keep your shoes in your closet? 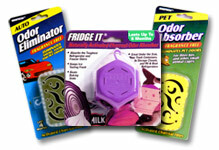 It doesn’t matter if you believe you have them hermetically sealed in their original boxes or left out to air – sorry, they stink! Throw in a few pair of sneakers or running shoes and you have a recipe for a gag reflex. But there’s hope!We recommend our Innofresh Footwear, sport and closet odor absorber for this use. Available with a built in clip on back and hook on top of odor absorber that accommodates laundry hampers and can also be just placed nearby or on shelves and closets. They only need to be replaced every 3 – 4 months under normal conditions. There are no chemicals or sprays or irritating gels to worry about. 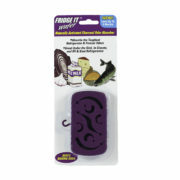 Innofresh’s patented single molded design is virtually dust free and completely non-irritating. Once you get into the habit of using Innofresh in your closet, you will never have to worry about how your clothes smell before going to work or a special event. Even the chemical smell from the dry cleaners will be gone. You will be fresh as a daisy and so will your clothes – including your shoes! 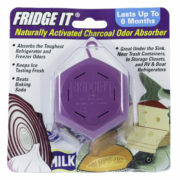 Try fragrance free Fridge IT and our other Innofresh activated charcoal odor absorbers with complete confidence. All our products are proudly manufactured in the USA.